The idea is to invite people from different ideologies for the event. The list is being prepared and may also include CPI (M) General Secretary Sitaram Yechury and Congress President Rahul Gandhi. 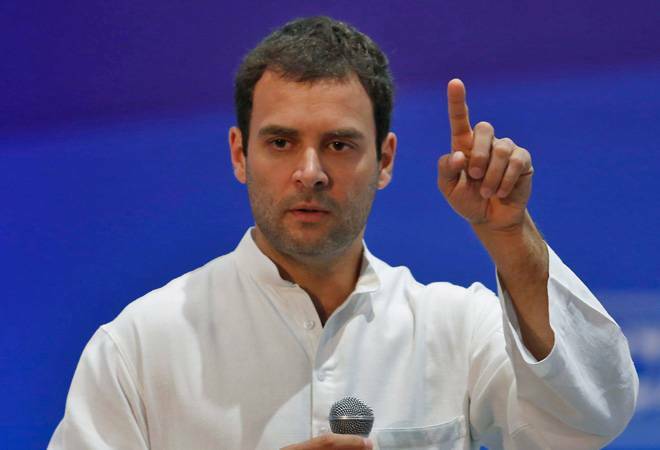 The RSS may invite Congress president Rahul Gandhi to attend a three-day lecture series by Sangh chief Mohan Bhagwat here next month, sources in the organisation said today. The idea is to invite people from different ideologies for the event, a source in the Rashtriya Swayamsevak Sangh said, adding that the list is being prepared and may also include CPI (M) General Secretary Sitaram Yechury. Indications are that Gandhi could be invited came on a day the RSS criticised him for drawing parallels between the Sangh and Islamic radical outfit Muslim Brotherhood. Giving details of the September event, RSS prachar pramukh Arun Kumar said the Sangh was for the first time organising a three-day lecture series of its chief Mohan Bhagwat on the theme, 'Future of Bharat: An RSS perspective'. "Bhagwatji will address and interact with select audience comprising prominent citizens on 'Future of Bharat: An RSS perspective' in a three-day lecture series," Kumar told reporters.